Well, it's ice cream weather and I had to write a post about two summer splurges that I indulged in- one this summer and one last summer from Jeni's Splendid Ice Cream. 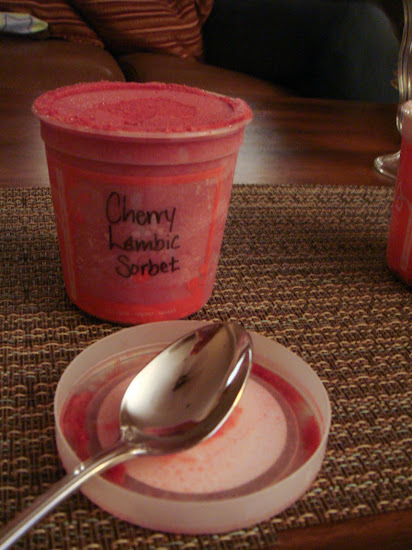 Mini- Splurge 2011- You may remember that we wrote a post a few years ago about my very favorite ice cream shop ever, Jeni's Splendid Ice Cream in Columbus, Ohio. I've tried quite a few - and for me, this is hands-down the very best ice cream I have ever had- even better than Bi-Rite and Humphry Slocombe. The carefully crafted flavor combinations, the use of seasonal ingredients and that fact that Jeni artfully creates surprising and delightful flavors without crossing the line into bizarre flavor, are what sets it apart from the rest. So, you can imagine my enthusiasm when her cookbook was released. It has recipes for my favorite flavors and ones that I can't wait to try. I ordered it immediately! Big Splurge 2010- Ever since we went to Jeni's several years ago, I vowed to have her ice cream again, even if I had to ship it. 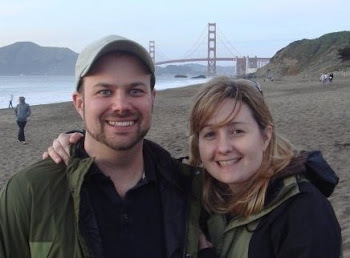 And last summer, when I was very very pregnant and it was very very hot, I did just that. 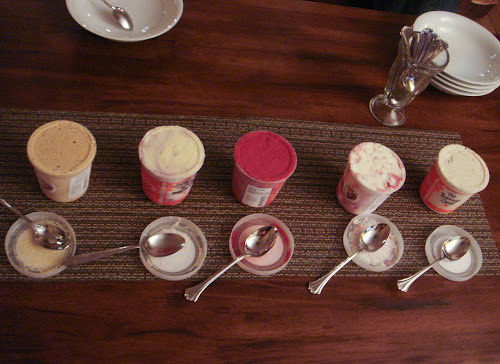 I shipped five flavors that I wanted to try or had tried before and held an ice cream tasting party with our neighbors. It was fantastic. So, what did I choose? • Goat Cheese with Roasted Red Cherries- unbelievable! Also a huge favorite of mine. By far the cherry lambic and the goat cheese with red cherries were the best of the bunch but you can't really go wrong. Now the only question is, will I be able to make any of her recipes as well as she does or do I have to wait until we are pregnant again to ship out some flavors? So, you might be wondering, why we haven't posted in a while. Well, we had a baby and I went back to work. But we are still doing all sorts of foodspiration: I'm making baby food, Justin attended a bbq class and bought an amazing smoker and I made 5 dozen cinnamon rolls with my grandma that I have to tell you about. It's all coming and hopefully at a more regular, albeit it less frequent pace. Hope you will keep checking in with us! 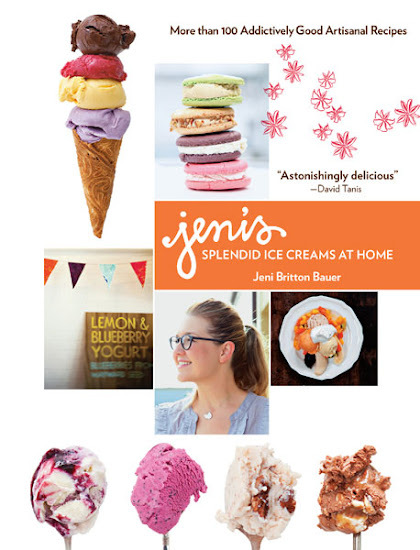 Hey I just discovered that Jeni's ice creams are available in select stores around the country- woo hoo! We will be getting more for sure!